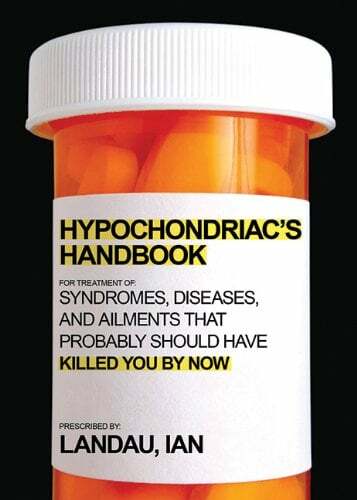 ” The Hypochondriac’s Handbook: Syndromes, Diseases, and Ailments That Probably Should Have Killed You By Now. Landau is not a doctor, but he’s clearly done his research. He details a number of wacky, rare medical diagnoses that sound like something straight out of House or Grey’s Anatomy. In his explanations, he includes symptoms, treatments, prognosis, prevalence and most importantly, how to avoid any given disease (though some are unavoidable, he admits). I definitely recommend this book if you’re growing a horn or turning orange – Carrot Addiction, anyone? – but also if you’re just interested in having a good laugh while learning a thing or two about weird medical conditions.